Matt Kessler is a Managing Director in Baird’s Technology & Services Investment Banking Group with a focus on Technology and Energy Technology sector. 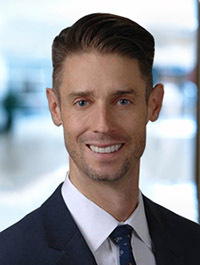 Matt began his career in 2004 as a member of Baird’s Industrial Investment Banking team in Milwaukee where he spent three years as a Financial Analyst focused on equity offerings, mergers and acquisitions and other advisory services. In 2007, Matt began a 2-year secondment in London with Baird’s European Investment Banking team as an Associate providing analytical and execution support on European and transatlantic mergers and acquisitions. Matt received an M.B.A. from Stanford University’s Graduate School of Business, and he also graduated with highest honors from the University of Illinois at Urbana-Champaign, with a double B.S. in Finance and Marketing. John joined Baird in 2000. He spent his first year in Baird's Global Investment Banking Group and then worked as a research analyst for two years in the Equity Research Department. He rejoined Investment Banking in 2003. Prior to joining Baird, John was an investment banking associate with Prudential Securities in New York. John's experience also includes five years as an auditor with Deloitte & Touche where he ultimately reached the level of manager. He received an MBA degree from the University of Virginia Darden School of Business Administration. He earned his undergraduate degree from the University of Maryland College Park where he was an honors student. He is also a CPA.